For more than a dozen years, the Ford Explorer has been the best-selling SUV in America. In fact, it's the sixth best-selling vehicle. It's become the standard-issue suburban family hauler. Though capable as a tow vehicle and able to venture off the highway, most Explorers spend their lives shuttling people, collecting groceries and performing the duties station wagons performed when Baby Boomers were growing up. The Explorer answers this call admirably and comfortably, and that's a big part of the reason it's so popular. The Explorer is roomy and comfortable. It can seat seven people when equipped with the optional third-row seat, which folds flat into the cargo floor when not needed. On the other hand, Eddie Bauer and Limited models are luxurious vehicles with available second-row sport bucket seating. Buyers can choose between V6 and V8 engines, but the V6 provides plenty of power. The V8 isn't needed unless you're pulling trailers or live in the Rocky Mountain states where the air is thin. Part of the reason for this is a superb five-speed automatic transmission. 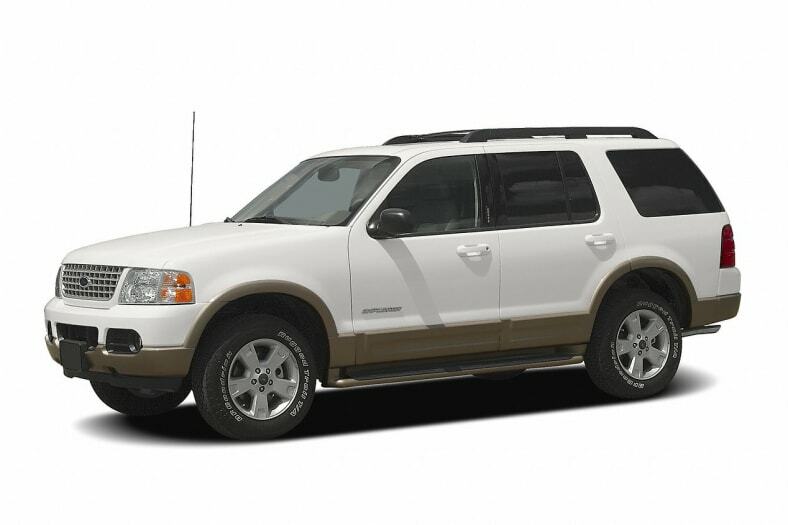 Explorer's wide track and long wheelbase give it a solid, stable stance, while its independent rear suspension (an unusual feature in a mid-to-large-size SUV) gives it a smoother ride and better handling than SUVs with traditional live rear axles. Safety features abound. AdvanceTrac with Roll Stability Control is now standard on all Explorers. This sophisticated system not only senses and corrects potential skids and slides, but also monitors for potential rollovers. Onboard electronics determine if one or more wheels is about to lift off the ground, then reduce power and/or selectively brake one or more wheels to re-settle the Explorer back on all fours. We recommend the optional Safety Canopy airbags, which are designed to provide some protection in the event of a rollover. Anti-lock brakes (ABS) are also standard, and a tire pressure monitor comes on all but the base model. The Explorer is rated to pull trailers up to 7,140 pounds when properly equipped, and though it does not excel at off-road travel, it can go most of the places most of us need to go.